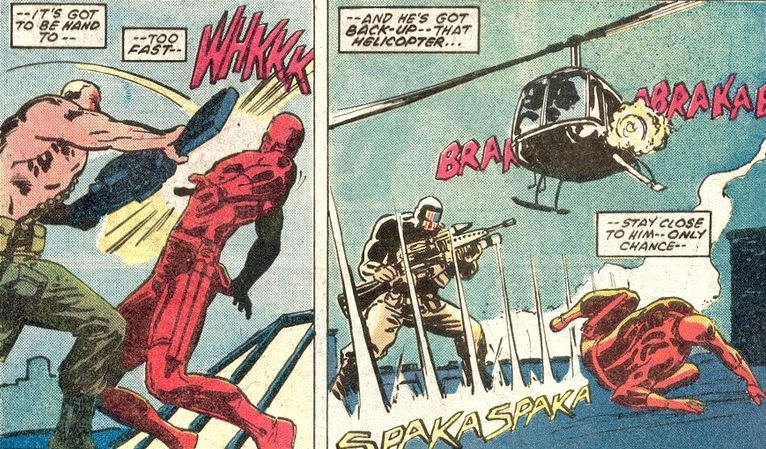 While I’m assuming you know the main beats of the almost 50 year history of Daredevil, that’s never enough to stop me from reciting it anyway. Look, Daredevil struggled his first fifteen years or so in relative obscurity. He’s blind, but he moves around as if he sees. Yes, a lawyer secret identity rocks, but the average age of the readers in the ’60s and ’70s bordered on single digits. And his costume douses itself in a single boring shade of maroon. Matt Murdock’s like Batman without the genius intellect, neat technology cave, or sidekick. That is, until the 1980s. 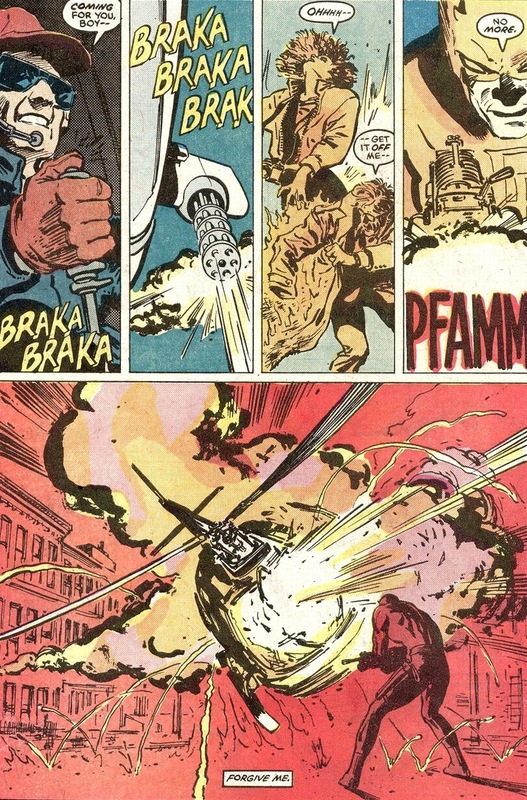 I don’t think I would find too much outrage if I said the only reason you know about Daredevil nowadays is because of Frank Miller. At 22 years old, Miller took this poorly selling character and turned him into a cultural icon. The series took on a noir tone, ninjas appeared, Daredevil now struggled against Kingpin’s neverending and immoral criminal empire, and the assassin/former lover Elektra first brandished those cool sais of hers. 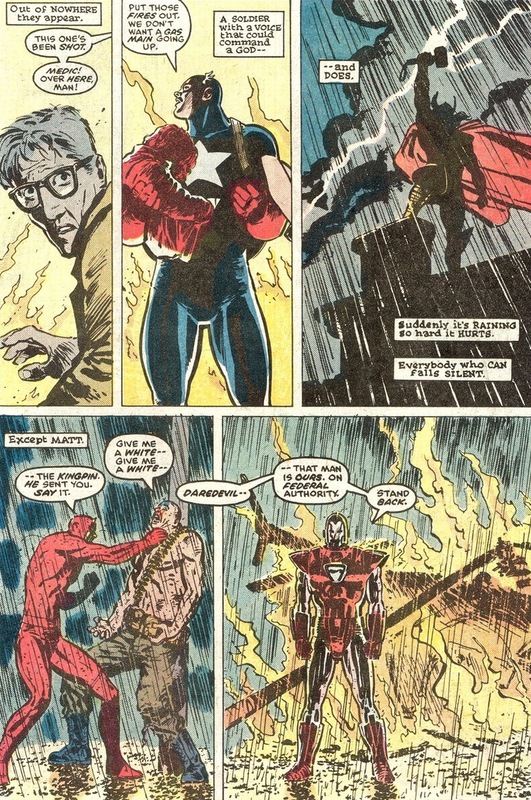 In the colorful and good vs. evil universe of superheroes, Daredevil now fought crime in a horribly dark and morally ambiguous world. 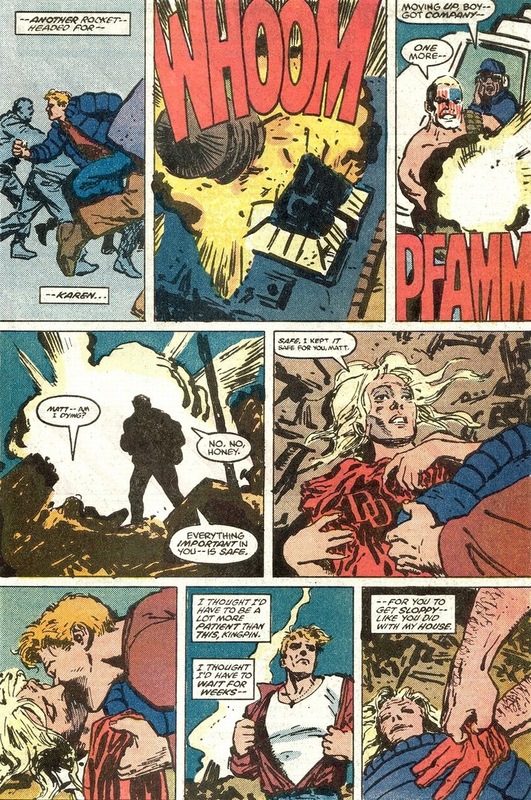 And oh, did Murdock pay for his heroism. But through that pain (my god was there pain), we see #19 on Comic Book Resources’ Top 70 Most Iconic Marvel Panels of All-Time. Full list is here. Understand that he doesn’t put his costume back on for five issues. The emotional and mental damage simply remains too much while he searches for a place to hide. How many innocent people died just then because of his Daredevil identity? He may have superhuman senses, but not a superhuman heart, y’know? 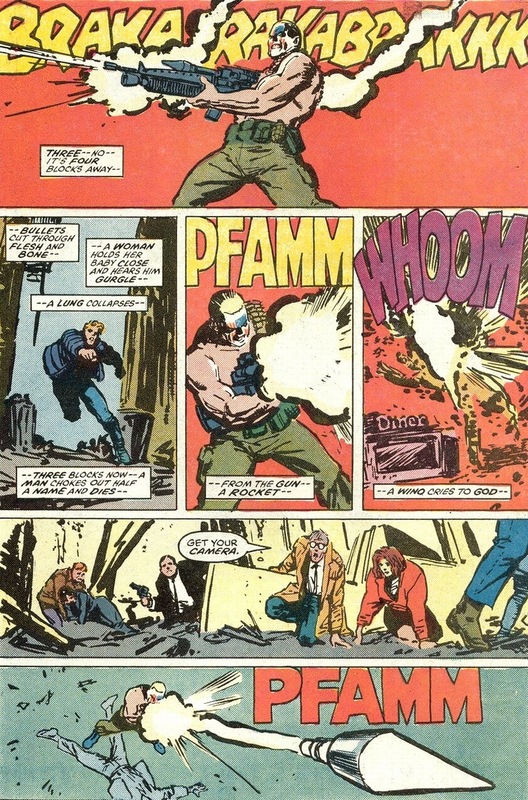 In Daredevil #232, the Kingpin, not known for being a patient man, figures if the supervillain Nuke just blew up Hell’s Kitchen, Murdock would have no choice but to stop the total destruction. The unfortunate weakness of being a good guy is being a good guy. So that famous panel? 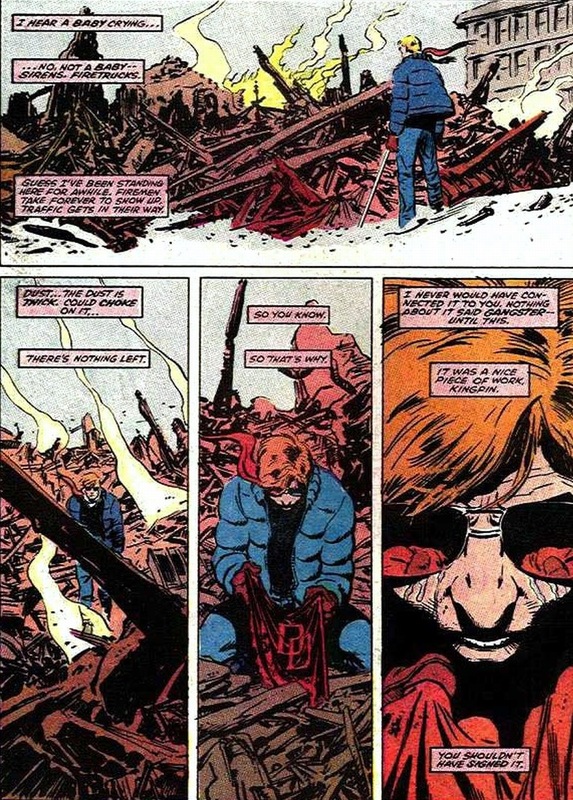 It marks Daredevil’s dramatic realization to stop this madness once and for all and more importantly, the defeated Daredevil symbolically rises from the ashes as the savior of Hell’s Kitchen. Literally rises from the ashes to beat the crap out of people who very much deserve it. 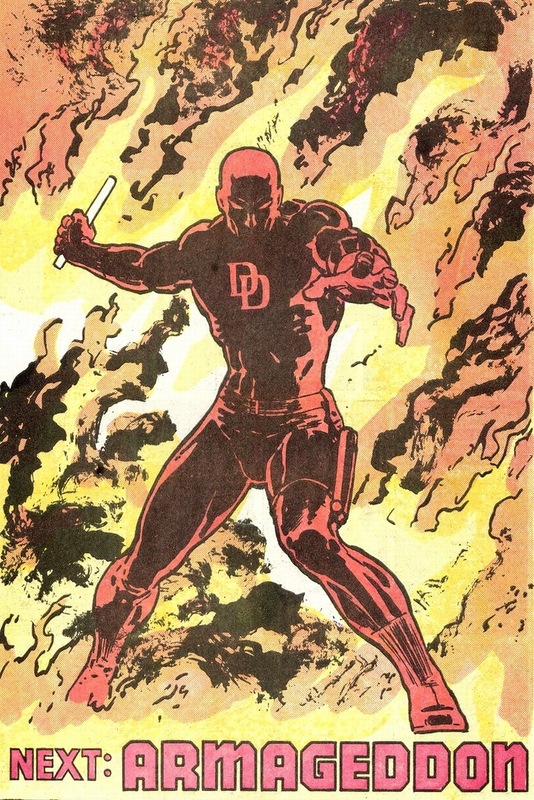 One of the bigger readership draws to Daredevil turned out to be his lack of major superpowers. No super strength or durability, just buttloads of ninja training (and what superhero hasn’t had ninja training nowadays?). Yet he fights a physically superior foe, because superheroes forever brawl against insurmountable and impossible odds. Makes stories exciting. 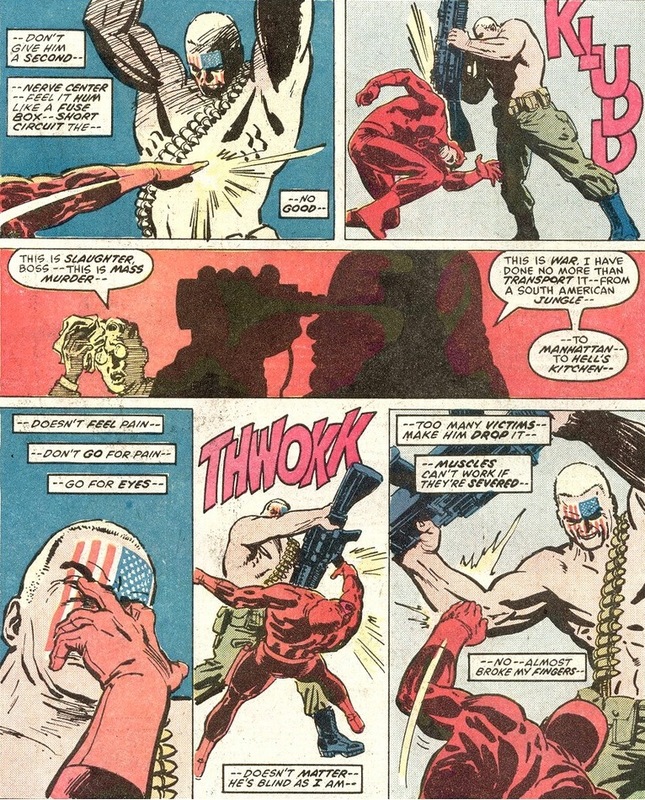 Nuke’s a super soldier serum reject. So he has Captain America’s abilities plus all those cybernetic enhancements and a heavy dose of supervillain crazy. 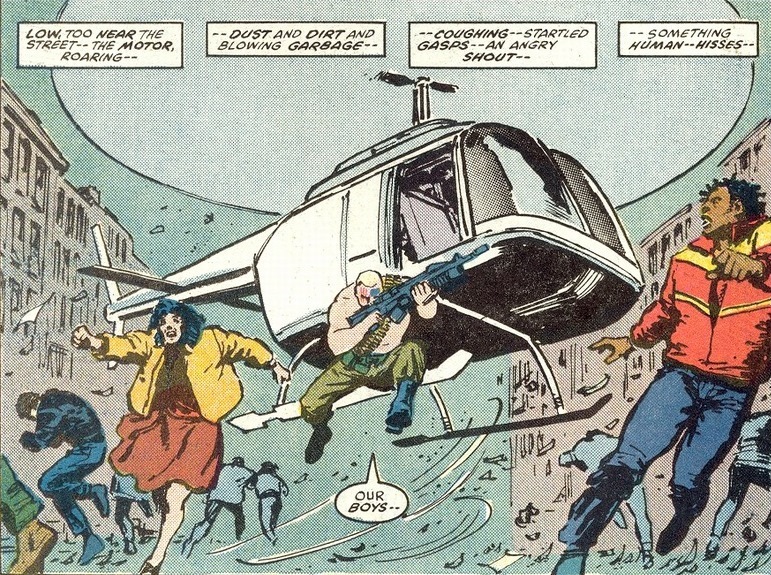 Daredevil eventually emerges victorious which I’m skipping (though you should buy the book for the importance of the story in Marvel’s history anyway), and even shoots down a helicopter. 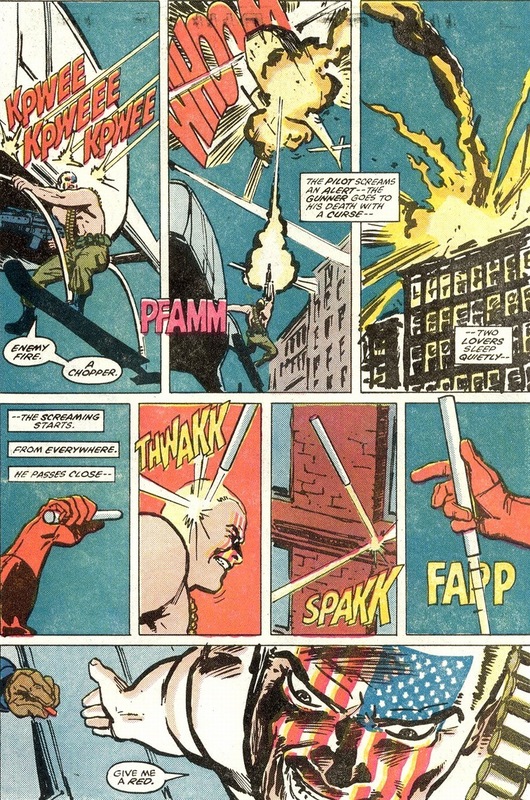 Batman may not use a gun, but Daredevil’s principles tend to be a bit more lax when his borough blows up. While the story continues for a good twenty more pages, I’m ending here. No break for our hero either. 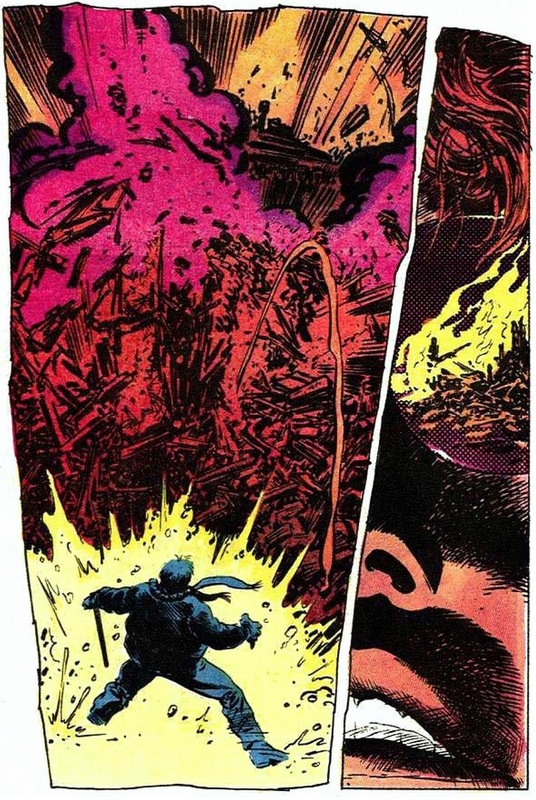 The late 1990s and 2000s made this arc look like frozen yogurt and palm trees compared to the fiery brimstone and living hell he experienced in recent times. I’m just saying I could never be a superhero writer — thirty years of suffering is plenty. Every issue of my Daredevil series would just be lavish parties where his friends and family make passionately heartfelt speeches about how much they love him followed by a dozen pages of hugs and kisses. Unfortunately, an iconic title punishes their hero to persevere over disastrous circumstances and not stories consisting solely of cake and champagne. But it’s nice to dream. You’re right: I found it here. Different list. I love what you´re doing with the “famous panels”. If it´s not much to ask could you do one with Namor? Do you mean Daredevil #7 back in the 1965 where he fought Namor? That and his first FF appearance are the only ones on that list, though you and I can both agree Namor is super awesome. This is perhaps the best post you’ve ever written. 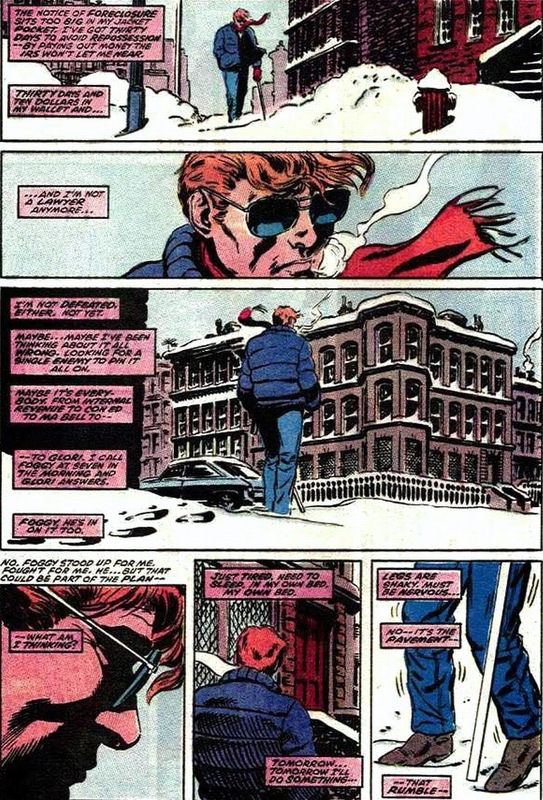 I might be biased, because it is focused on my favorite superhero (Daredevil), my favorite villain (Kingpin), my favorite writer (Miller) and one of the best stories I’ve ever read (Born Again), but, apart from this, you summarized this story arc very well, and you also perfectly understood and described what makes it so special. Thank you so much! You’ve always been so good to me! And no reason why we can’t cover #219, right?